Are you a family caregiver who would benefit from having 24 hour care in the home for a loved one? At A-1 Home Care, the caregiver agency of choice in Orange County and Los Angeles, we strive to provide the highest quality diverse in-home care services in the area. 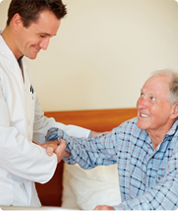 We specialize in care for Elderly, Senior, and Terminally Ill individuals, however we also provide multi-lingual health care services for adults and children. We offer caregivers, nurse aides, companions, babysitters, elder sitters, and mother’s helpers for Alzheimer’s Care, Parkinson’s Care, Arthritis Care, After Surgery Care, Diabetic Care, Cancer Care, Respite Care, Hospice Care, Incontinence Care, Child Care, Special Needs Care, or Postpartum Care services. Our Los Angeles caregivers can assist with all the general household tasks of daily living in addition to personal care and companionship for your loved one. Our caregivers are available for any duration, whether that be 24 hour live-in care or hourly part-time care home care services on a short-term or long-term basis. All of our homecare senior companions must have prior experience, verifiable professional references, a National Background Check and DMV Check, Tuberculosis screening, Malpractice/Liability insurance, First Aid/CPR training, and a personal interview with our office staff. A-1 Home Care offers an irresistible ethnically diverse live-in caregiver service package at competitive rates you won’t find anywhere else! With easy financing available, we make high quality elder caregiver services possible with low-cost payment plans and terms. There is no reason that any senior should be denied reliable and trustworthy caregiver services because of a tight budget. Personal care, post-partum care, disability care, overnight care, hospice care, post-op care, and other specialized elder health services are covered under Veteran Benefits and long-term care insurance. 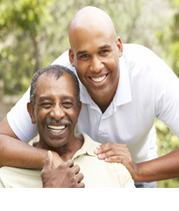 You can finance any hospice caregiver option that’s right for you. Please do not hesitate to call us if you have any questions about our fast and easy process. 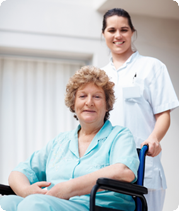 Sign up today and we can deliver home care services to you in less than 24 hours! 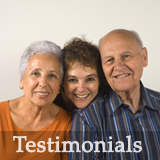 We are a multi-lingual non-medical caregiver placement agency that has been in business since 1991 with an A+ Rating from the Better Business Bureau, Shield Accreditation, and memberships with the National Care Planning Council, Torrance Chamber of Commerce, Pasadena Chamber of Commerce, Santa Fe Springs Chamber of Commerce, and Newport Beach Chamber of Commerce. We are frequently referred to patients of local hospitals such as Hoag Hospital, College Hospital, and Kaiser Permanente. If your loved one carries long-term insurance, we accept Penn Treaty, John Hancock, Bankers’ Life & Casualty, CALPERS, MetLife Insurance, and Veteran Administration. For more information or to hire an experienced and compatible senior caregiver in your area, CALL us at 949-650-3800 today. In Home Care includes your pets!